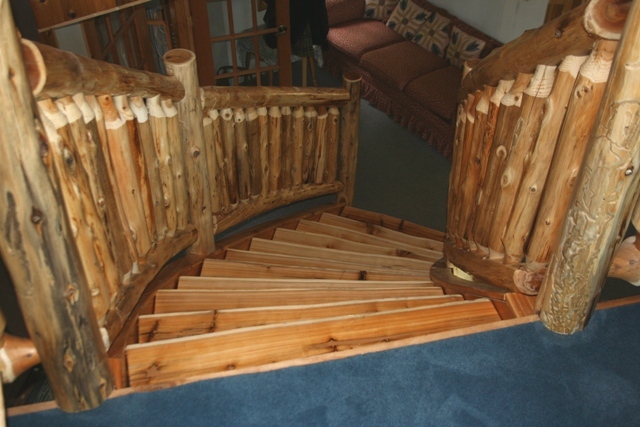 Curved Log Staircase made from northern white cedar logs. Prices will vary based on size, style, and other specifications. 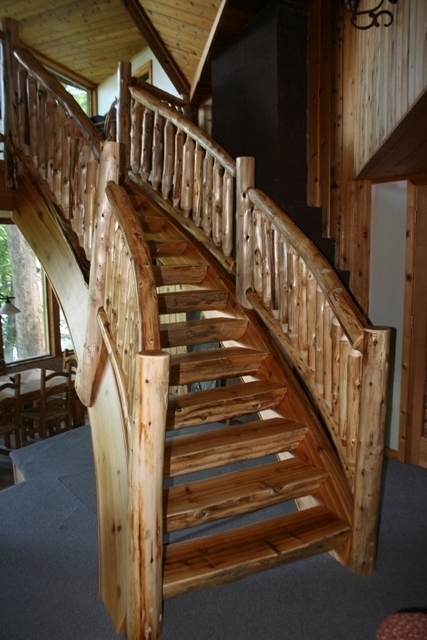 Depending on what is needed for your individual project rustic staircases are all unique and custom. We can provide you with a detailed quote and discuss installation options with you. We can also supply just the components for you or your contractor. Please contact us at info@viennawoodworks.com with your questions and specifications for you log stairs. 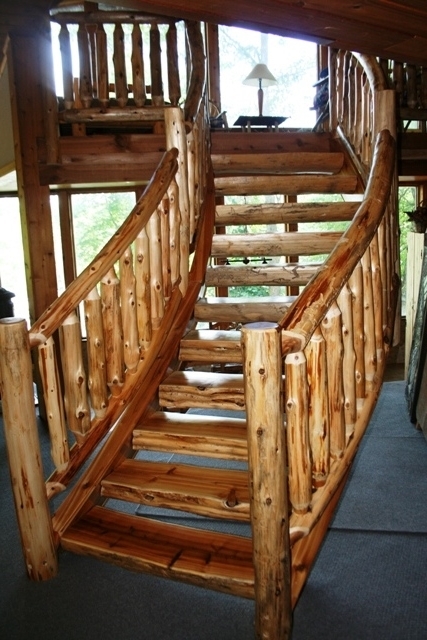 Your stairs can be made also from barn wood, hickory bark on logs, pine logs, or a combination!